Does business communication still exist? Business communication, as the name suggests, is a tool used by professionals in this area, often along Human Resources, to share important internal information among employees, promoting integration actions and also celebrations. The news is – HOLD YOUR BREATH – we don’t have it at Hotmart! But wait up! Before assuming we don’t communicate internally, I’ll try to convince you that things have changed a bit and that is a good thing! The term business communication speaks for itself and it involves sharing internal information inside an organization. Where there are people, there is communication and information that needs to be delivered. So far, very simple, right? But it’s important to keep in mind that although this is just a concept, it’s also a starting point from where other concepts should come up. How to maintain business communication within the company? Since things have changed, you must be thinking: how, then, should I talk to my coworkers? The first point to take into consideration is the company’s culture. You may not notice nor pay attention to it that much, but every company has its own culture, whether it has 3, or 30 thousand employees. It’s this culture that guides all processes, including the way internal communication happens. Therefore, the first step to achieve quality communication is having a strong culture, coherent, well defined and above all, one that is known and put into action by those that work in the company. At Hotmart, our culture is our most valuable asset and our mission is to enable people to make a living out of their passions. But if you are thinking this mission contemplates only users from the platform, you are wrong. It’s not coherent to seek what is best for the client, while the company’s most valuable asset, the intellectual property, is being neglected. Living out of your passions is more than a mission, but something we want to see constantly, every day, in everyone that works here. 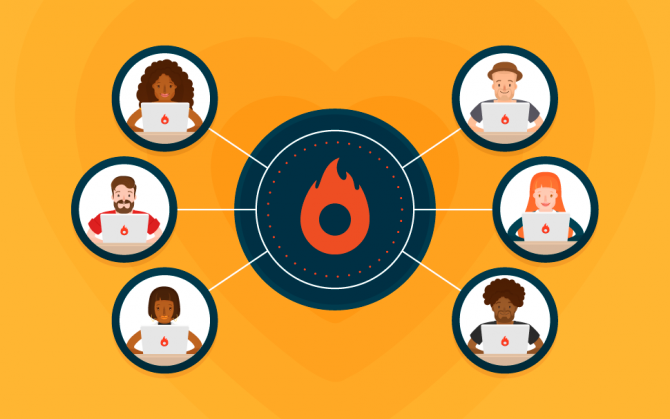 Sharing important information is a key part of the process, but keeping people passionate about what they do and where they work is a lot more challenging, though less pleasurable. And when I say business communication is over, it’s because its new role goes way beyond that. 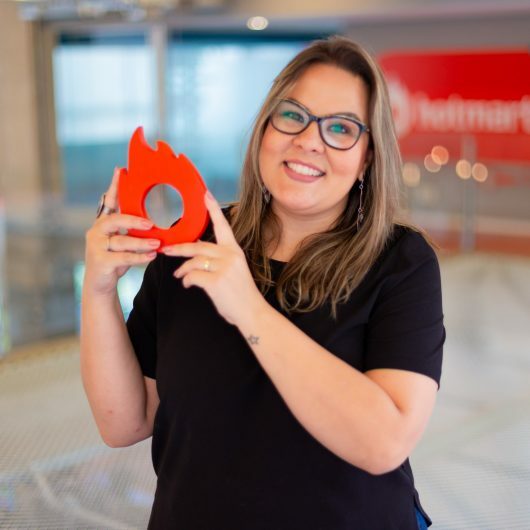 For several reasons, our area responsible for that, at Hotmart, was renamed Employer Branding, but that concept comes from our understanding that a brand, before being admired by those who see it, should be admired for those that build it. The role of our internal communication area, after all, is transforming Hotmart in a reference in employer branding. After all, a place which has the ability of retaining people who are so passionate about what they do should also be capable of attracting the best talents, right? I’ll ignore the physical structure points, wage politics, and operational details, assuming the management already has that handled and providing good working conditions for all employees. The point is, that in order to have people who are passionate about what they do, that work with love and wear it on their sleeves, is important to encourage the sense of belonging. Make them see that, to be a part of the company, they are as responsible as those who founded it. To earn people’s admiration and trust, it’s indispensable to be transparent, to look for effective tools to make sure they are well informed and more than that, to make sure the employees are always the first to hear about the news, before clients and the market. Keeping people informed is fundamental. Offering them an enjoyable work environment, in which they feel good about, even more. I believe that the first step to breaking these barriers is determining the tone of voice in communication, deciding if your environment calls for informal ou formal language. Once the tone of voice is determined, respect it on all your official channels. Talking about channels, have you ever thought to think about which ones you should have? You need to know which one of them fits your collaborator’s profile and to the company’s needs. Sometimes, the good and old board on the office corridor may be more effective and a very elaborate intranet. So that people feel they are cared for, one tip is planning and setting up a schedule for celebrations, including important dates that make sense for the team and for the business, not forgetting the need to invest in cool presents when that happens. Celebrating your achievements with your team, promoting gatherings, making sure people get to know each other and, more than that, admire each other, considerably minimizes the risks of conflicts and disagreements. Actions to remember important events in people’s lives, such as a birthday, a wedding, a child’s birth and even deaths in the family, is a way of proving that the well-being of that person matters a lot for the company. At Hotmart, for example, we celebrate dates such as Carnival, Christmas, and Easter. But we also encourage awareness on important, and sometimes sensitive issues such as International Women’s Day, LGBTQ+ Pride Day, Pink October, Blue November, among others. People feel safer when they feel represented, and if this is done with sensitivity and respect, the path is an easy one to take. We don’t even need to mention, that out of respect for diversity, it’s always good to promote dialogue in a heterogeneous work environment, right? Stimulating empathy is always the best strategy. For example, our HotTroopers (how we affectionately call our co-workers) launched the Troopers’ B-Sides series, where once a month a Trooper shows something they care about when they’re not at Hotmart. We have already published stories about musicians, actresses, athletes and people with very special side projects. The lead of the article feels special and their colleagues get closer to them to show that they’ve seen a special side of a person they weren’t that close to before and they now wish to get to know them better. An important point about effective business communication is analyzing the area’s capability to deal with a crisis. Rumors, for example, point out that your communication is not fulfilling its role. Paying attention to them is also a way to understand the gaps in the processes and getting the problems straight from the source, so you can find the best way to solve them. The fewer rumors going around, the bigger your certainty is that information is getting where it needs to go. Creating an open channel between the employee and the company is the best way to avoid secondary, non-official channels of communication gaining power. The company’s culture is the sole responsible for determining the limits of these non-official channels routes, and once they become harmful to the environment or to one’s well-being, steps must be taken immediately. Don’t underestimate the power of side talk and be prepared to act quickly on the source of the rumor, establish communication channels, listen to all involved, and see to it that the problem doesn’t reach major proportions and cause possible damage. If you want to promote efficient business communication, you need to know your internal customer needs very well and this is possible in one way only: metrics. Collect personal data about your employees, their restrictions, allergies, and particularities. Have you ever thought about how uncomfortable it would be for an employee to get a gift he couldn’t consume, such as handing a chocolate to a diabetic? Having a well-detailed database of the people around you is critical. After each action, take the time to analyze employees’ perception. Submit surveys, reports, and carefully review all positive and negative feedback. Always have these reports at hand and check them every time you have to plan an action. With all that gathered data, it’s a lot easier to see everything that works in your business and the risk of doing actions that won’t have good results are much lower. This avoids blunders, shows care and it’s a way to reinforce the perception that what they think and go through matters. What is the profile of a communication professional? It’s ideal that the person responsible for internal communication has a basic knowledge of communication and dealing with different people, while also interacting well with HR. Other essential characteristics these professionals should have are creativity, sensibility, versatility, and common sense. Keep in mind that even with all these characteristics, nothing replaces the affection at the company’s core and being kind and sensible when dealing with people around you. Would you like to know more about this subject? Check out our tips on how to improve the organizational climate in your business. Marketing specialist who is crazy about internal communication and loves all animals with paws. 13 tips to use criticism to your advantage!